I can't open my CSV reports in Excel. 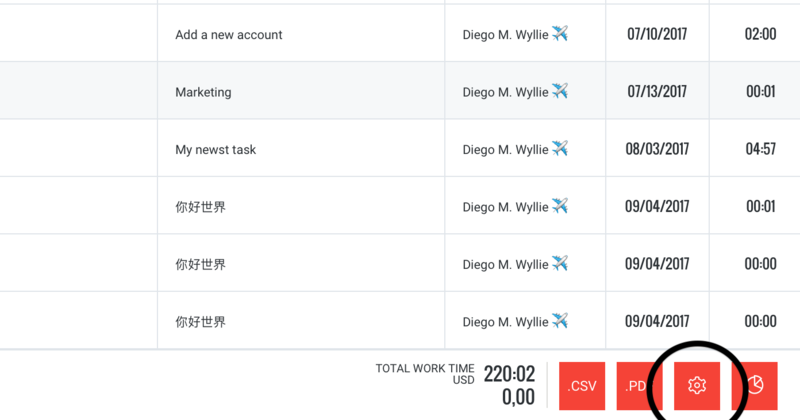 When you export your Timesheets or Custom Reports in CSV format you need to make sure that you use the correct column separator. Which one you should choose, depends on the operating system and on the app you'll use to open the file. If you cannot open your exported CSV report in Excel, Numbers or any other spreadsheet software or third party application, or in case the data is displayed incorrectly, please make sure you're using the right CSV column separator. Windows computers and Excel often work best with the comma (,) as the column separator. Mac users using Numbers will want to use the semi-colon (;) as the separator character. 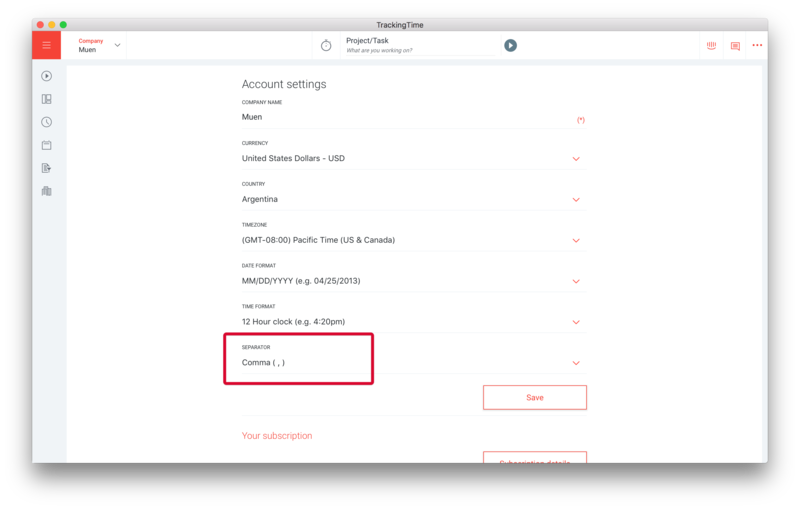 You can set a default column separator in your Account settings. Click on the menu button on the top right corner of the screen and select account. 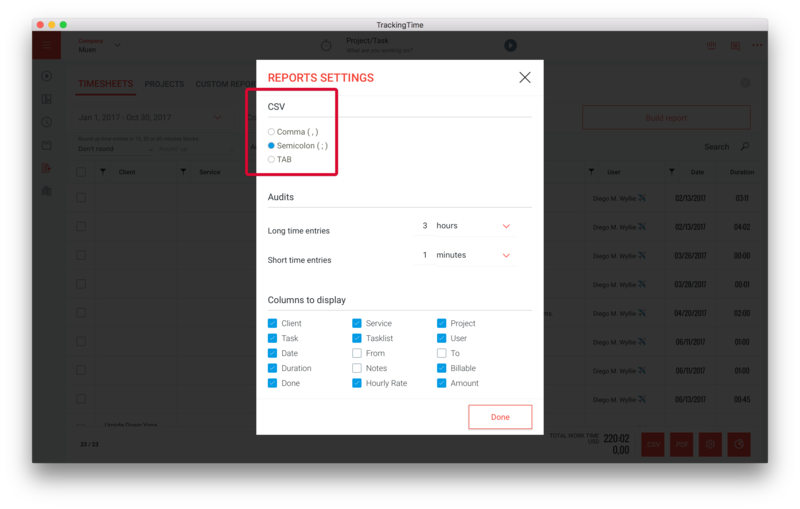 Additionally, if you need to use a different column separator when exporting some of your reports, you can change this in the Reports settings. To do so, click on the settings icon displayed at the bottom of the screen after you've created your report. A pop up will appear showing the reports settings. Here you can change the column separator. Don't forget to click Done to update your reports settings. Tip: Excel, Numbers and many other apps allow you to use different column separators when importing CSV files. Instead of changing this in TrackingTime you might want to do it in Excel or any other app you're using.